One of the dangers of being a reporter who goes to church is that you know when the preacher is wrong. Not wrong in theology. Wrong in facts. Like this one, which came halfway through a recent sermon on marriage. Things are scary out there, the preacher told us. And there’s no difference between people sitting in these pews and everyone else when it comes to divorce. It made a great sermon illustration. Wright looked at marriage statistics from the General Social Survey (GSS), a national random survey of Americans, taken since the 1970s. Half of the “Nones”—people who claim no religious identity—were divorced. Only 42 percent of self-identified Christians—and members of other faiths—were divorced. Catholics (35 percent) were least likely to divorce, followed by Mainline Protestants (41 percent) and evangelicals (46 percent). Believers who show up to church every week were even less likely to divorce. Wright, who has been writing about faith and divorce rates since 2006, found that only about a third of evangelicals (34 percent) and Mainline Protestants (32 percent) and a quarter of Catholics (23 percent) who go to church are divorced. Still the myth that churchgoers get divorced at the same rate as everyone else persists. Wright thinks we pay more attention to bad news than to good news. Mark Regnerus, a sociologist at the University of Texas in Austin, says something called “confirmation bias” might be at work. In other words, people like statistics that reinforce their beliefs. If people are fearful that marriages are in trouble, he said, they’ll tend to believe statistics that confirm those fears. Even if those statistics aren’t exactly right. Regnerus said using bad statistics about marriage is appealing—because bad news can motivate people to action. But it can also undermine the credibility of a pastor’s message. Are Christians really bad tippers? Marriage isn’t the only subject where the facts don’t match up to perceptions about Christians. That’s also the case when it comes to tipping and believers. Earlier this year, a trip out to eat turned into a nightmare for the Rev. Alois Bell of the World Deliverance Ministries Church in Granite City, Ill. Bell and a large group of friends went to Applebees. Following company policy, their server, Chelsea Welch, added an automatic tip to the bills. Welch posted the bill on Facebook and it went viral. She eventually was fired, while Bell apologized (indicating she’d left a cash tip) after her note made headline news. Turns out Welsh isn’t the only server to have a bad run in with church folks. Karen Swallow Prior, an English professor at Liberty University, worked her way through college as a waitress. Christians were notorious for being bad tippers, she wrote in a piece for Christianity Today’s website. But a study from Michael Lynn of Cornell University and Benjamin Katz of HCD Research, showed that, overall, Christians are pretty good tippers. Their online survey of 1,068 Americans found that the average Christian tipped 17 percent for good service. Only 13 percent of Christians left a smaller tip for good service. The problem is that there are a lot Christians out there. And since we tend to remember bad news, a few bad tippers give all the other Christians a bad name. 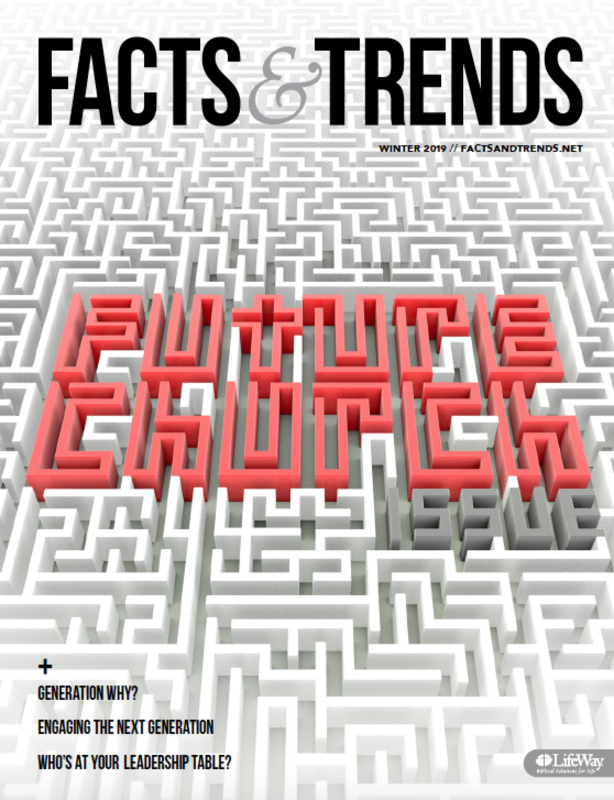 Statistics about the future of the church also give pastors and other church leaders a hard time. Like this one: “94 percent of Christian young people leave the church never to return,” which was used to promote a major Christian conference several years ago. It’s partly true; young people do drop out of church. A 2009 LifeWay Research study of 1,000 young Protestants found that seven out of 10 did drop out of church for a time after high school. A few more details: the students surveyed had all attended church for at least a year in high school. Most dropped out because of a life change—such as going to college—and just over a third had come back to church by age 30. The idea of anyone dropping out of church is a concern. But there’s no sign young people are forsaking the church in droves. That’s more than the estimated number of southpaws—between 30 and 45 million Americans—and Texans (26.6 million, according to the U.S. Census). Bad statistics persist because they work—at least in the short term. They help sell books and tickets to conferences, make great sermon illustrations, and get people in church fired up. The problem, says Ed Stetzer, president of LifeWay Research, is that bad statistics don’t solve real problems. It’s difficult to solve a problem when you don’t understand it, says Stetzer. Too many bad statistics can also undermine a leader’s credibility. Get too many facts wrong and it’s harder for people to trust you. Perhaps it’s time for preachers—and conference speakers—to be a little more wise when it comes to statistics. Stetzer says Christians should view all statistics with healthy skepticism. That’s especially true if a statistic is found in an advertisement. Ads, says Stetzer, are used to sell things. They’re not particularly concerned with getting the facts right. Also, beware any statistic that can’t be verified. He also says to be wary of stats that don’t match reality. “It’s okay to apply your own censor to say this doesn’t make sense,” he said. It’s important to realize that all research is imperfect and context matters. Researchers don’t have unlimited resources. They can’t interview or poll everyone. Instead they interview a representative sample of people, asking a few questions. So go to the source. Find out who did the research, how many people they interviewed and what specific questions were asked, before assuming the research is valid. For example, a poll from professional researchers using a large sample will likely be more reliable than an informal poll taken by a professor of the students in class. Finally, don’t look at only one study. Facts are our friends, as Stetzer often says. Just make sure the facts are true. Bob Smietana is senior writer and content editor for Facts & Trends. Hey great article. I think it’s easy as a preacher to throw out numbers we’ve heard as true, because we believed they were true when we heard them. I had, years ago, used the Harvard study statistics about written goals, turns out that was completely made up. Guess we got to do our homework and fact check everything. While you’re about checking facts, could you bury that “boiled frog” story!? Why preachers fall for it, I cannot tell, but I’ve heard it from otherwise sensible men, for decades now. Concerning the marriage statistic, I think that we could probably find a better statistic. It doesn’t seem unlikely that families going through divorce might leave the Church. This would obviously have the effect of reducing the percentage of active churchgoers who have been divorced. It would be more accurate to look at the divorce rate of people who were in regular attendance before the decision to divorce.